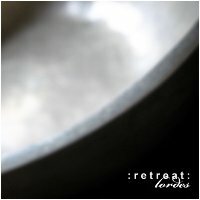 Earth Mantra is very pleased to welcome Ronny Jung of :retreat: to our netlabel, with his wonderfully deep minimal ambient album Lordes. We've mentioned many times how much we enjoy meeting new artists and hearing new music, one of the true benefits of running a netlabel. Likewise, one of the joys of releasing ambient music is that every album is so distinct, with such a unique sound, feel, and musical approach. With Lordes, we are reminded again of how sweet it can be, for this is an album of truly profound ambient drones unlike any we have heard before. Ronny produced this album from a collection of recordings he made, some field recordings, and others recordings of him playing Tibetan singing bowl, didgeridoo, small bells, singing glass, torn paper, and even a growling stomach. He recorded all of this material and then brought it into the computer, where he processed it in various ways, layered the resulting sounds, and blended it all together into "a general picture hopefully aesthetical". We're still trying to figure out which song has the growling stomach on it. The music is supremely droney, a reflective study of minimal composition, with long, slow pulsations ebbing and flowing like a vast field of ponderous benthic molten lava. Ronny is careful to avoid any explicit thematic content in his music, preferring instead to allow the listener's imagination to interpret the music however it likes, but to us this music is like the soundtrack to the abyssal plain, a colossal stretch of uninhabited space miles below the surface of the ocean, particularly the seismically active parts of the plain, where crustal plates grind against each other, magma seeping out between the cracks and instantly cooling to form organic structures of rock. But that's just what we see when we listen to this enigmatic release. The beauty of :retreat: is that you can let your mind explore while listening, allowing your imagination free rein. With music as fathomless as this, such an adventure is a pure joy indeed. So it is with great pleasure that we welcome Ronny Jung, aka :retreat:, to Earth Mantra, with his excellent new album Lordes. May it be only the first of many such excursions of the imagination. this is unique stuff. mesmerizing drones. the music has an otherwordly atmosphere. it does not have intention, it balances between dark and light and seems to spring up from nothing. great pulsating dub noises like a dream of deep ocean. go on mister jung!! Great stuff, Ronny. One of my favorite EM releases.